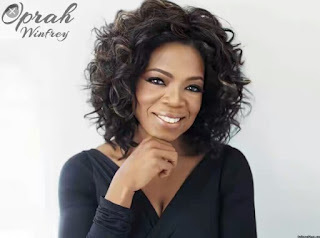 Oprah Winfrey - My Talk Show Was My Greatest Therapy. ~ CK Jacob: Nigerian Fiction And Lifestyle Blog. Oprah Winfrey - My Talk Show Was My Greatest Therapy. Orpah Gail Winfrey, better known Oprah Winfrey became a force in the entertainment industry after helping people tackle problems in their life on her very popular daytime daily talk show, but they weren’t the only ones getting help, as it also impacted on the actress, tv host's life, along with millions of others. Happy Birthday to a blog reader Temitope!